The hype over Anne Leckie’s ‘Ancillary’ books is not exaggerated. The judges and nominators of all of the various awards were all correct. 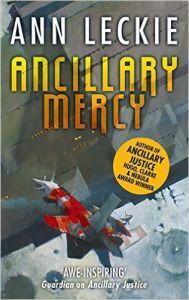 I was blown away by Ancillary Justice and equally impressed by Ancillary Sword, so I already knew I was going to love the third volume, Ancillary Mercy, before I started reading it. If anything, it exceeded expectations.